James West ran the third leg for Great Britain in the 4x1km cross country relay, handing over to Laura Muir, for the winning team. Phoebe Barker finished 10th in the under 20 race at Edinburgh, competing for the Great Britain team. James West was 2nd over 1500 metres, in Vienna, racing for the England team. Dom Brown was bundled off the track and didn't finish the indoor 1500 metres in Vienna. 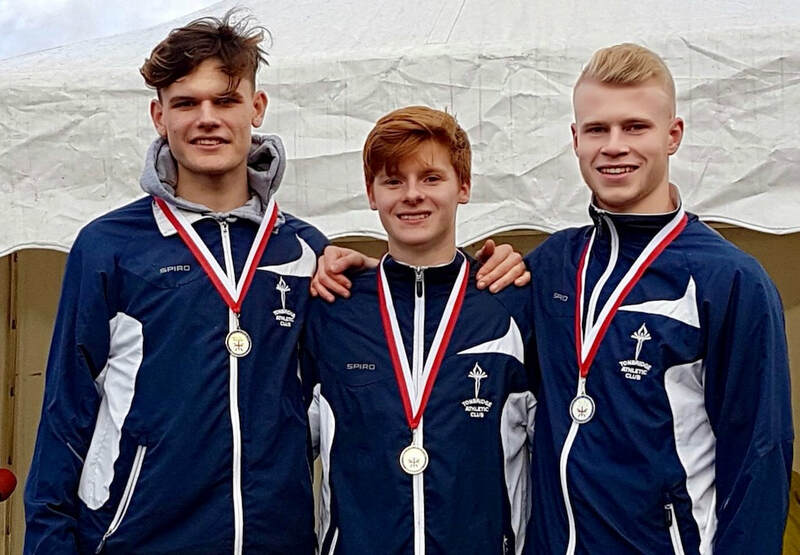 James Puxty, Bede Pitcairn-Knowles, Dan Seagrove and Dan Blades won the under 17 team title, ​at Wollaton Park, Nottingham. 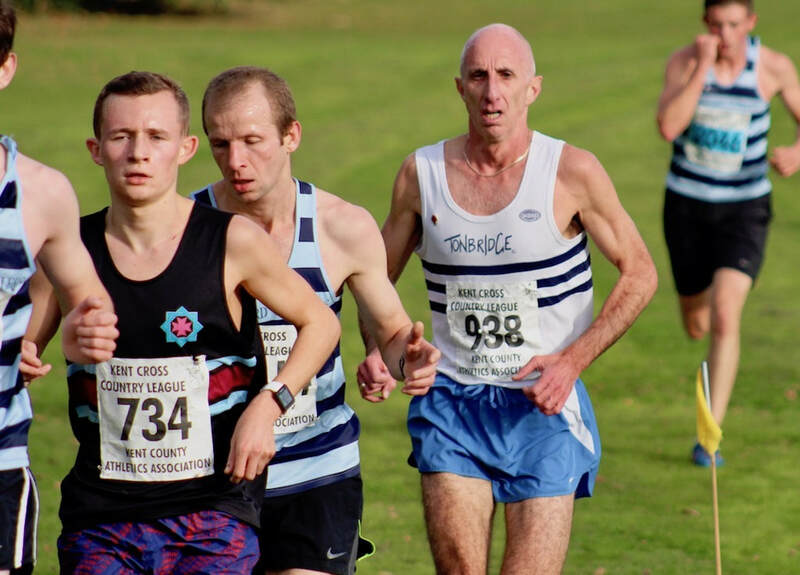 James Puxty won the under 17 mens individual race ​at Wollaton Park, Nottingham. 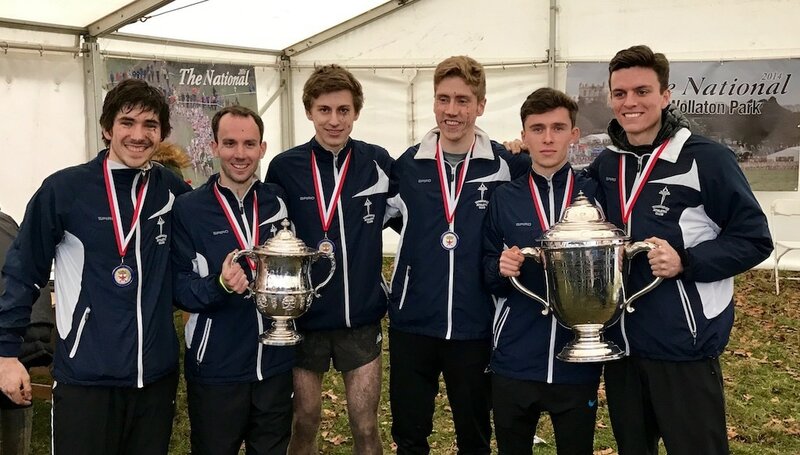 Charlie Joslin-Allen, Ben Cole, Chris Olley, Kieran Reilly, Corey De'Ath and Max Nicholls were the scoring team, as Tonbridge won our first National Senior Cross Country title, at Wollaton Park, Nottingham. Graeme Saker won the over 55 men's title, at Liverpool. Sasha Houghton, Lucy Pitcairn-Knowles and Nina Ridge won the over 35 team title, at Liverpool. Phoebe Barker placed 57th in the under 20 women's race and was fourth scorer for Great Britain, who finished ninth as a team. Fraser Gordon was 4th in the Junior Boys race (years 8 and 9) at the Home Countries Cross Country International, held at Port Talbot, Wales. James produced a superb English Schools win, possibly against the odds, with Ally Kinloch in third. 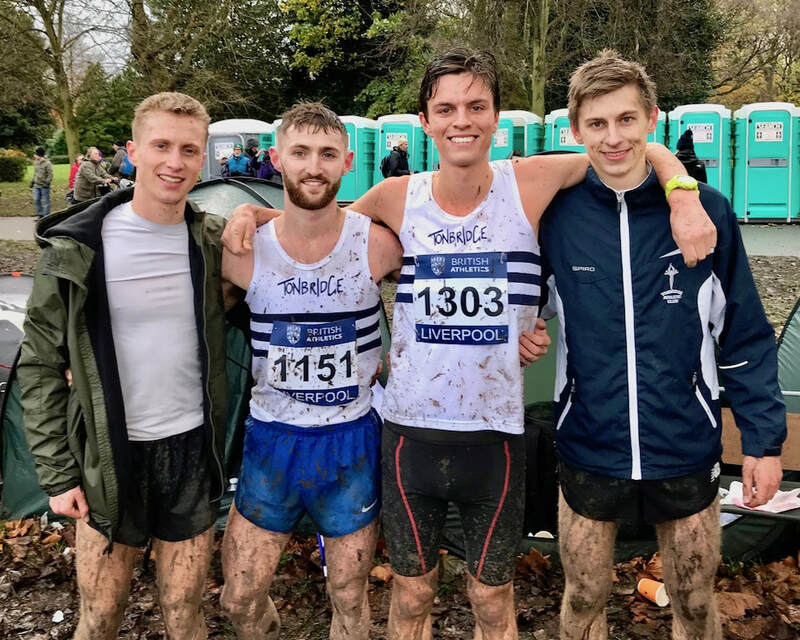 The senior mens team were second to Swansea at the National Road Relay Championships, but won the English title. The team consisted of Dom Brown, Chris Olley, George Duggan, Charlie Joslin-Allen, Ryan Driscoll and Ben Cole. Ashley Gibson was the first English woman home in the Leeds Abbey Dash 10km, which was the designated National Championship. Ashley should get an English International vest for the performance. 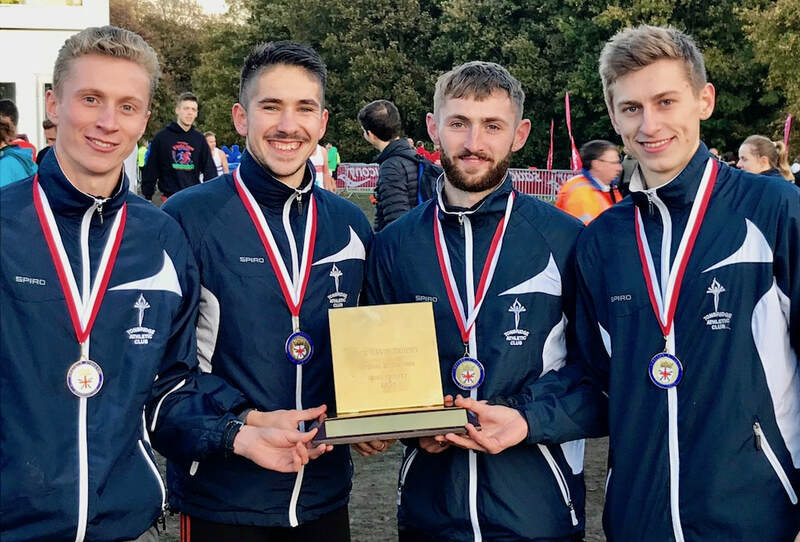 The TAC senior mens team won the National Cross Country Relay Championships, at Mansfield, for the first time in club history. The team was George Duggan, Charlie Joslin-Allen, Ryan Driscoll and Chris Olley. 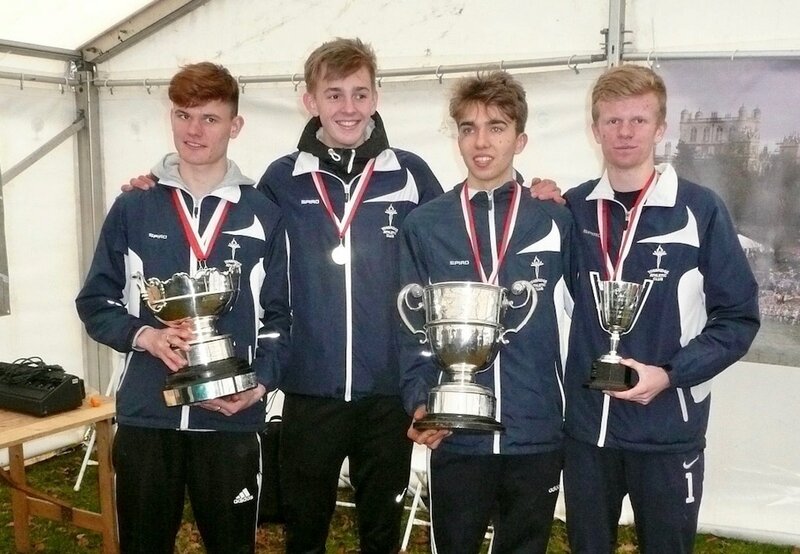 The TAC under 20 mens team won the National Cross Country Relay Championships, at Mansfield. The team was James Puxty, Jamie Goodge and Alasdair Kinloch. This was the fifth consecutive year that Tonbridge had won the gold medals. The mens team won the challenge match of national champions at Liverpool. This was a match between Tonbridge, Swansea (Wales) and Central AC (Scotland). 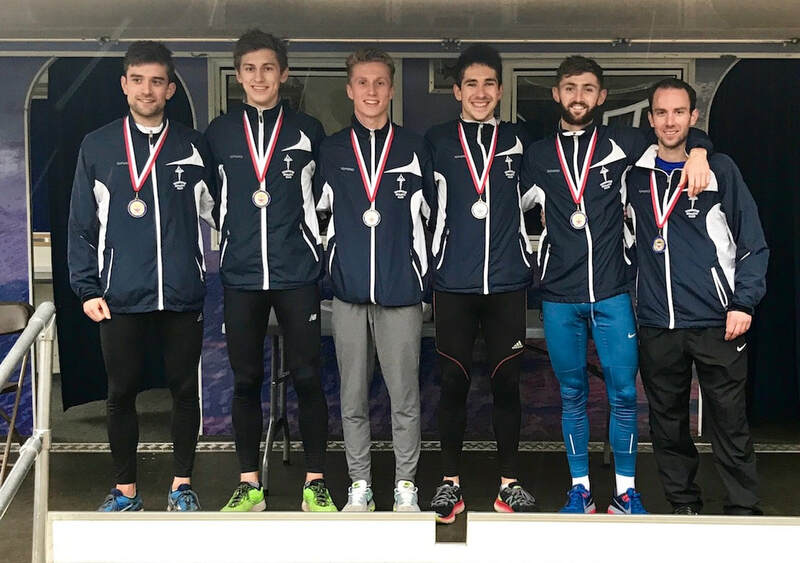 As a result Tonbridge qualified for the European Clubs Championships in Portugal in February 2018. ​Phoebe Barker was called into the under 20 women's team on the Wednesday before the Sunday Championships and was fifth of the six GB runners, finishing 43rd, as the team won the gold medals.